As we've seen the last few weeks in Wisconsin, Michigan and North Carolina, we need to defeat Republicans at every level in order to preserve our democracy. We still can’t believe it. You’ve given nearly a million dollars to strategically chosen state legislative candidates who could be the difference between Democratic and Republican control over the lives of millions of people. Your money isn’t lining the pockets of consultants, or contributing to a television air war of attrition. Most of it goes to voter contact, or is the difference between a candidate running a radio/cable ad or not at all. We’re rolling out one last round of candidates and asking for a last infusion of money that could mean the difference for these candidates. We asked our friends at Run For Something (@runforsomething) and Future Now (@FutureNowUSA) to give us eight more candidates. Both organizations are committed to electing progressives to state legislatures across the country. As with before, these races were carefully vetted to ensure your money goes as far as possible. So here at Data For Progress we’re making a simple request - spend $80 across these eight candidates. We’ve set up an ActBlue page for you to make those donations, and you can find more about each of the candidates below. We’re calling it our Give Smart initiative. 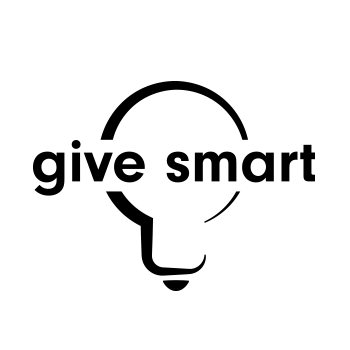 No portion of the contributions to Give Smart goes to Data for Progress. All the money supports candidates. Thank you so much for all your help Giving Smart so far. Our newest ask is one that’s close to both of us because it’s about our home state of New York. New York State has voted for every Democratic presidential nominee since 1988, usually by an overwhelming margin. The State Assembly reflects that political reality with a huge Democratic majority. But with the exception of one brief interregnum in 2009, the upper chamber—the State Senate—has remained firmly under Republican control. This year, that could change. There’s no reason New York can’t be as progressive as California. The state could be leading the country on climate change, immigrant rights and universal health care. The state could enshrine reproductive justice in the state constitution. And instead of being notorious for anti-Democratic election practices, New York could be implementing a pro-voter agenda with automatic voter registration, pre-registration and expansive early voting. Right now legislation the Climate and Community Protection Act (CCPA), which would create green jobs across the state and the Child Victims Act, which would raise the statute of limitations on crimes against children are blocked in the senate. We can change that. So far, we’ve raised $700,000 down-ballot. Data for Progress (@DataProgress) is a New York-based think tank, and we want to make sure Democrats have a solid progressive majority in the state. So we’re rolling eight candidates in New York. We’ve set up an ActBlue page. Our ask is simple: $80 for eight pivotal state senate candidates. No portion of the contributions to Give Smart goes to Data for Progress. All the money supports candidates. Half a million dollars. We still can’t believe it. You gave more than half a million dollars to strategically chosen state legislative candidates who could be the difference between Democratic and Republican control over the lives of millions of people. And while Sheldon Adelson is out here cutting $25 million checks to Mitch McConnell, we still haven’t seen any indication that Republicans know how to fight back against these sudden small infusions of grassroots donor money. So we’re going put together a few more slates of amazing Democrats who could help flip state legislatures. Today, we’re going to focus on a group of eight women who could decide control of Pennsylvania, Texas, Wisconsin, Michigan, Florida, Minnesota and Iowa. When we asked you to chip in for sixteen pivotal districts, we never thought we’d get 5,743 donors and nearly $500,000 raised. But you did it. And we want to keep the money flowing to these key downballot races, where a $10,000 infusion might decide the election. This round, we’re working with LaunchProgress (@LaunchProgress), an organization that supports young progressives running for state and local office. LaunchProgress doesn’t just endorse candidates in strategically important races: they focus on true progressives — folks who, if elected, won’t just be silent backbenchers--they will lead on the issues that matter. The LaunchProgress team also works closely with these candidates, providing them with coaching to use their dollars effectively. They are all running smart, aggressive, field-driven races: exactly the strategy that has led to upset wins by candidates like Alexandria Ocasio-Cortez this cycle. As before, Data for Progress vets every candidate to make sure these are pivotal races and your money is going as far is it can. The request is like last time — $60 to be split evenly between these six young (all are 35 or under), dynamic candidates running in strategically important races in North Carolina, Ohio and Michigan. We’ve set up an ActBlue page here. Also, you can support LaunchProgress here. Donations directly to LaunchProgress will not go to just to these candidates, but will instead support their full list of candidates and the operating costs of their organization. Also, you can support Data for Progress here. These contributions will not support the Give Smart candidates, but rather general operating support for the think tank. We’ve discussed flipping chambers, but it’s just as important to break Republican supermajorities. Polls are looking good for Gretchen Whitmer to be the next Governor of Michigan, but her ability to make progressive change is hampered by a Republican supermajority in the State Senate that can block her veto. In SD-13, which Clinton won by six points, Mallory McMorrow is challenging incumbent Marty Knollenberg. Mallory is running a strong campaign and excitement is high among Democratic voters (7,000 more Dems than Republicans pulled primary ballots in the district this year), but her opponent is the incumbent and the son of a former Congressman. Every dollar will help us take back this seat. Republicans have held trifecta control of the Ohio state government since the 2010 elections, and have used it to bankrupt public schools, shred environmental regulations, and limit access to abortion. Democrat Richard Cordray is running a close race against Mike DeWine for governor, but winning the gubernatorial mansion won’t mean much unless we break the Republican supermajorities in both the State House and State Senate. 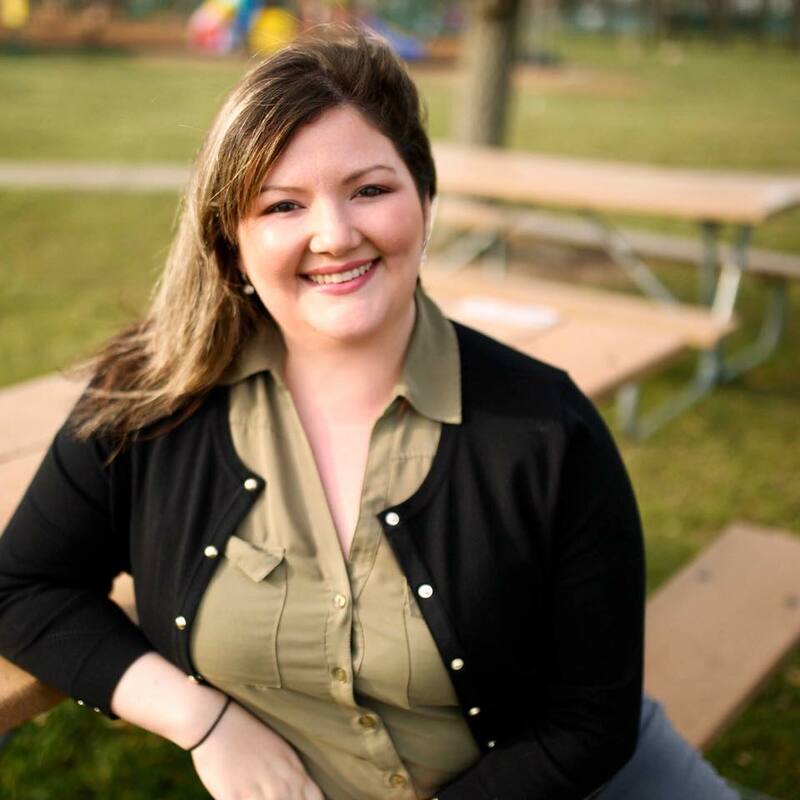 Jessica Miranda is running in the Cincinnati suburbs, in what is widely considered to be the least gerrymandered district in the state. Voters in HD-28 supported Clinton by three points, but this race is far from a sure thing, so give to Jessica today. Closer to West Virginia than Columbus, the 94th House District exemplifies the hard Obama-Trump shift seen across the Rust Belt and Appalachia. Democrats won this seat in 2010 and 2014, but it flipped in 2016 to area rich kid Jay Edwards. Taylor Sappington is the Democrat to take it back. An openly queer and working-class Ohioan (his day job is as a server at Texas Roadhouse) and a popular member of the Nelsonville City Council, Taylor’s team has already knocked more doors than any Democratic campaign in the history of the district. If Taylor wins, it’ll show that not only are places like this not lost to Democrats, but that progressives (Taylor’s platform includes public broadband and debt-free public college) can win in Appalachia. Andrew Brenner, the Republican candidate for Ohio’s 19th State Senate District, is famously too far right for even Dana Loesch. His largest contributor is the founder of ECOT, the online charter school that went bankrupt earlier this year and left thousands of students and school districts on the hook. Voters can trust that Louise Valentine will never post on a blog that calls Sandy Hook a hoax, and that she’ll fight to keep the Medicaid expansion and invest in public schools. This Dayton-area district is one of the most competitive in the state, shifting from Obama in 2012 to Trump in 2016 by a mere four points. Top-ticket excitement and the fact that this seat currently has no incumbent gives us a good chance at picking this seat up. Paul Bradley is a former staffer for Senator Sherrod Brown, and is backed by Dayton’s popular progressive mayor Nan Whaley. That said, the Republican State Senate caucus is extremely well-funded, so every dollar will help us flip this seat. Because of court-mandated district lines, breaking the North Carolina Republican State House supermajority – and perhaps even taking back control of the chamber – is doable in 2018. Erica McAdoo is hardworking and dynamic, and is running a strong campaign in rural Alamance County. Despite this seat’s flippable nature, Democrats did not put up a challenger in this district in 2016, and the incumbent has been caught flat-footed more than once for his questionable campaign tactics. Erica, and Alamance County, can flip for us this year--with our help. Logo design by Dallas Schwab. It’s hard to write right now because we’re at a loss for words. We thought that if we were lucky we’d raise maybe $20,000 for our slate of eight candidates who could flip eight state legislatures blue. But as we’re writing this on Wednesday night, barely 36 hours after the fundraiser started, that number stands at $160,000 and counting. That’s $20,000 per candidate. We knew that you cared, we knew that you were generous, we just didn’t know that you cared so much and could be so generous. We’re also so glad that we showed the left is willing to Give Smart. That our movement understands that we have the greatest impact when we build the party from the ground up. That we’re crafty enough to find the places where the Koch money tree and other reactionaries are weakest. Together, we can do this.